The yard is full of junk, wood crates, waste, unusable toys. yard is a mess. The house needs repairs. Rats have been seen in the yard. Thank you for your Report it Redford request. Your request is important to us and will be prioritized and addressed based on the overall availability of Township resources. Please note: If the nature of your request is urgent, such as water emergencies, please check www.redfordtwp.com for phone numbers to contact us. Report It Redford is for non-urgent, non-emergency issues and is monitored during weekday business hours only. Your patience is appreciated. Please note: The address provided is not a valid Redford Township address. The numerical order may be transposed, the street name may be incorrect, or it may be a different city/township. Due to the nature of the program, we will close the incorrectly addressed issue and ask that you please open a new request with the correct address. Thank you. This is the house on the southwest corner of Gaylord and Vassar. Their address isn't visible so I can't give the exact address. It appears the tenants of this home did not understand the inspector when he/she was out the two other times for this same issue. This picture was taken Saturday April 20, 2019 in the morning. Ordinance Officer will be out on 4/23. Their backyard is a dump ! They have garbage , trees, old furniture ! Rats and opossums are living in the backyard ! They also have roof shingles from the fall when they replaced their roof ! They have wires hanging down and their garage door is broken and half open with a bunch of garbage in it ! There is already an open case on this property. An inspector went out on 4/17 and gave a warning. Will be following up this week. 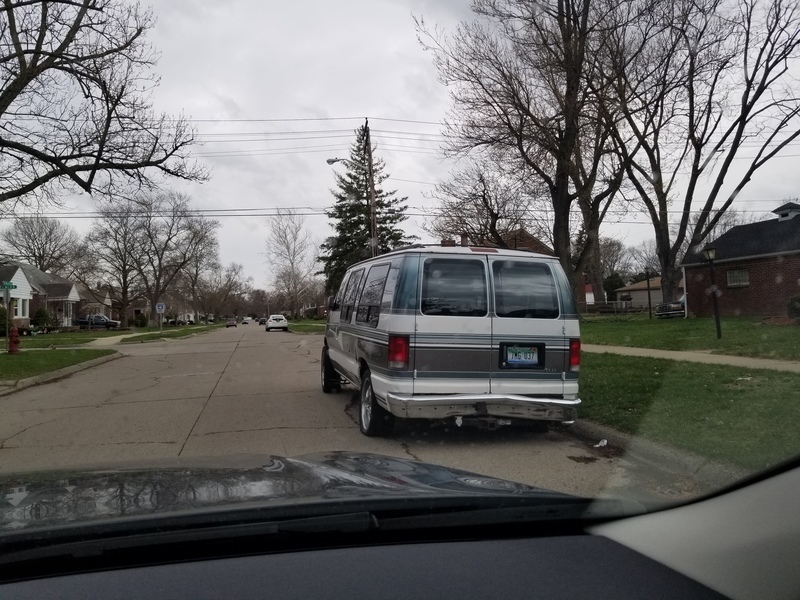 two back tires are flat. car gets tagged. they pump up the tires and move car. been going on for 2 straight years. This issue has been forwarded to the Redford Township Police Department. Please be advised that all abandoned or issues with vehicles in the street need to reported to the Redford Township Police Department at 313-387-2501. Thank you . The road is falling apart/potholes at the intersection of Norfolk/Norborne and Norfolk/Wakenden. This issue was recategorized from Other to Pothole. This issue has been forwarded to Wayne County Roads. You'll want to report future pothole complaints to Wayne County Roads Hotline at 888-762-3273 or online at www.waynecounty.com/dps. Thank you. Small dog is frequently tied on a small lead outside in very cold temperatures and in a wet muddy area of the front yard. There is a small plastic igloo outside next to it. The dog looks cold and not well cared for. Thanks for posting this. I see this dog just about every day, chained up on a very short lead. Animal control... rpolovich@redfordtwp.com Roxanne is the best. The residents of the home at 8923 Wormer play Extremely loud music daily, including weekends. The music is so loud that even with all my windows and doors closed I can not have a conversation in my own home. I would appreciate assistance with this issue, thank you. Please be advised that this type of issue is a police matter and needs to be reported to the Redford Township Police Department at 313-387-2500. Thank you. There is already an open case on this property. The inspector will be following up on 4/23. Thanks, had a feeling that was the case. Ordinance Officer will be out to investigate on 4/17. Ordinance Officer went out today. Since the car is in the right of way, this is a police matter. This issue has been forwarded to the Redford Township Police Department. Please be advised that all abandoned vehicles in the street and in the right of way need to reported to the Redford Township Police Department at 313-387-2500. Thank you . When an issue is reported, acknowledged and addressed, do you post a follow-up for all to see? How often do rental properties need a certificate of occupancy? when a complaint is made why is it still open after more than 2 wks and nothing has been done to resolve issues? If a.rental property has 6 adults living in the house and using the basement for living quarters aren't they supposed to have an egress.